Professor Hans B. (Teddy Püttgen) joined NTU late 2013 as Professor in the School of Electrical and Electronic Engineering. He also holds the position of Senior Director, Energy Research Institute at NTU (ERI@N). At ERI@N, Teddy Püttgen is leading the Renewable Energy Integration http://www.trottiersymposium.org/wp-content/themes/trottier-symposium/2015/demonstrator in Singapore, REIDS, initiative. Hans B. (Teddy) Püttgen retired in July 2013 from the Ecole Polytechnique Fédérale de Lausanne – EPFL – (Swiss Federal Institute of Technology in Lausanne) where he held the Chaire de Gestion des Systèmes Energétiques (Energy Systems Management). Upon his arrival at EPFL, in April 2006, he also became the inaugural Director of the Energy Center. Under Professor Püttgen’s leadership, the Energy Center became a university-wide and cross-disciplinary organization with the responsibility of coordinating major energy-related R&D initiatives and programs on campus. EPFL has a broad energy portfolio located within major laboratories in all five major Facultés (Schools), ranging, for example, from electric power production, distribution and end use to controlled nuclear fusion, from hydropower generation to photovoltaics, from building technologies to industrial process energy efficiency. Teddy Püttgen is a member of the CORE, Commission which advises the Swiss Federal Office of Energy on energy issues and funding priorities. Before arriving at EPFL, Professor Püttgen was Georgia Power Professor and Vice Chair for External Affairs in the School of Electrical and Computer Engineering at the Georgia Institute of Technology, (Georgia Tech). At Georgia Tech, he launched the National Electric Energy Test, Research and Application Center, NEETRAC, and served as its Director and Management Board Chair. NEETRAC is a membership driven organization focusing on research and test projects in the field of electric power delivery systems and apparatus. Teddy Püttgen is Georgia Power Professor Emeritus of the Georgia Institute of Technology. Until his arrival at EPFL, Teddy Püttgen served as Président and CEO of Georgia Tech Lorraine, the European campus of Georgia Tech located in Metz, France. Created in 1990, Georgia Tech Lorraine has become the model for cooperation between American and European universities regarding undergraduate and graduate engineering education as well as leading-edge research. He graduated from the Swiss Federal Institute of Technology in Lausanne, EPFL, with the Ingénieur Diplômé degree in Electrical Engineering. He holds graduate degrees in Business Administration and Management from the University of Lausanne. His PhD, in Electrical Engineering with an emphasis in electric power, is from the University of Florida. Teddy Püttgen, who is a Fellow of IEEE, served as President of the Power and Energy Society of IEEE in 2004 and 2005. 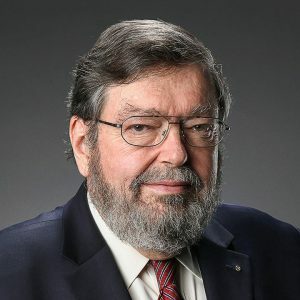 He is a recipient of the IEEE Third Millennium Medal. He is a past recipient of the IEEE Award for Outstanding Faculty Advisor and of the ASEE DOW Outstanding Young Faculty award. He is a member of the Sigma Xi, Phi Kappa Phi, Tau Pi Beta and Eta Kappa Nu honor societies.